It was during this time that Philip developed his latent enthusiasm for sculpture. 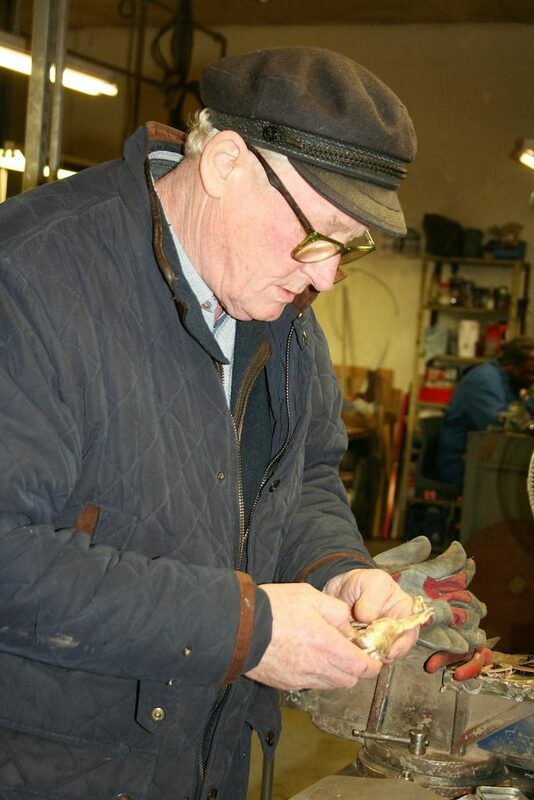 Under the guidance of Margot Dent, a former pupil of John Skeaping, he devoted as much time to sculpture as he could spare from his riding, and his first three editions, all racing bronzes based on The Grand National, sold out quickly. In 1982 he retired from the saddle to concentrate full time on sculpture from his Oxfordshire studio. Philip’s first one-man show was held at the Tryon Gallery, Cork St, London, in November 1983, and was hugely successful. Initially his work concentrated on capturing the authenticity and movement of horse racing subjects. Since his retirement from the saddle he has moved on to include a wider subject matter and to experiment with technique. Since the success of Philip’s life-size bronze of Red Rum, his work can be seen around the world – from Australia to Canada, Japan, the West Indies and Europe. Other large-scale size commissions include sculptures of the triple Cheltenham Gold Cup winner, Best Mate, Persian Punch for Newmarket Racecourse, a dressage horse for the New Equestrian Centre in Penang, Malaysia, and an 18 foot high sculpture of a stallion for Saudi Arabia. Philip’s private commissions include other household names – Bosra Sham, Danehill, Istabraq and Sariska and is always looking to undertake new commissions. His large-scale non-equestrian subjects include a sculpture for Blythe Shopping Centre of a local legend, strong man Willie Carr and a 1.25 size bronze of featherweight boxer, Jim Driscoll, for the Cardiff Bay Development Corporation. 1997 1.25 scale bronze of boxer Jim Driscoll for the Cardiff Bay Development Corporation. 1999 Danehill for Coolmore Stud in Australia and Ireland..
2000 Champion National Hunt Sire Deep Run for Coolmore Stud. 2001 Blast of Storm for Barbados Turf Club. 2005 Triple Cheltenham Gold Cup winner Best Mate for Lockinge Green and Cheltenham Racecourse. 2005 Multiple Group 1 winner Persian Punch for Newmarket Racecourse. 2005 Dressage Horse for The International Equestrian Centre, Penang. Malaysia. 2006 Twice life-size statue of Arabian Stallion Twaiq, and 1.3 life-size of Arabian Mare for Saudi Arabia. 2011 Oaks winner Sariska for Lady Bamford. 2011 Dar Re Mi for Lady Lloyd Webber.